Donate today - Invest in innovation for tomorrow — TechWorks! TechWorks! has the right stuff to inspire creativity in everyone. Invest in a better tomorrow by donating today to TechWorks! programs, collection, and archive of ideas great & small. TechWorks! 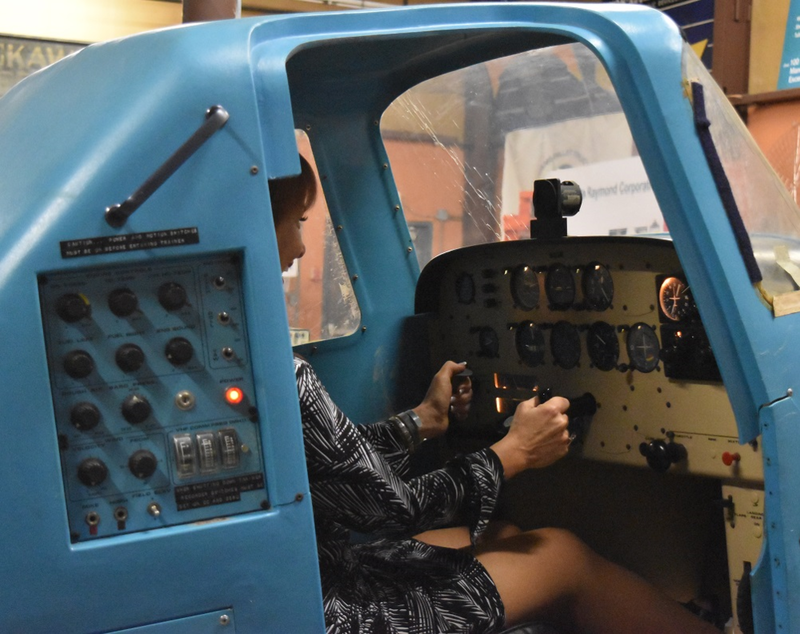 visitors experience the challenge of flight - where small motions have big effects - in Link flight trainers designed to teach pilots to trust their instruments, not their instincts. Tomorrow's innovations are built on the technology of today and yesterday. TechWorks! showcases Central New York technology in action - flight simulation, first land-based mobile text messaging, vintage IBM computers, Olympic bobsleds, a century of 3D imaging, and music: Nickelodeon, McIntosh Labs, Theremins & more. In 2019, TechWorks! celebrates the 50th anniversaries of Woodstock and Project Apollo, ventures made possible by technology from the heart of New York. Join us in exploring pioneering advances in audio and space technologies - THEN and NOW. Share your stories - Lend your mementos - Donate funds to the TechWorks! endeavor. To view a printable PDF version of the above, click here. The Center for Technology & Innovation, Inc.
registered with the IRS and NYS Charities Bureau. TechWorks! is short-hand for our programs & development initiatives. eligible for IBM and other employer matching grants. CT&I, 321 Water Street, Binghamton, NY 13901. IBM Matching Grants program now uses an online process to claim a match for your gift. Please indicate in the donation page if your gift is eligible for an IBM Matching Grant. To donate stocks or bonds, please call 607-723-8600. Please consider including the Center in your will.